UNISONProtect is a trading name of Union Income Benefit (UIB). 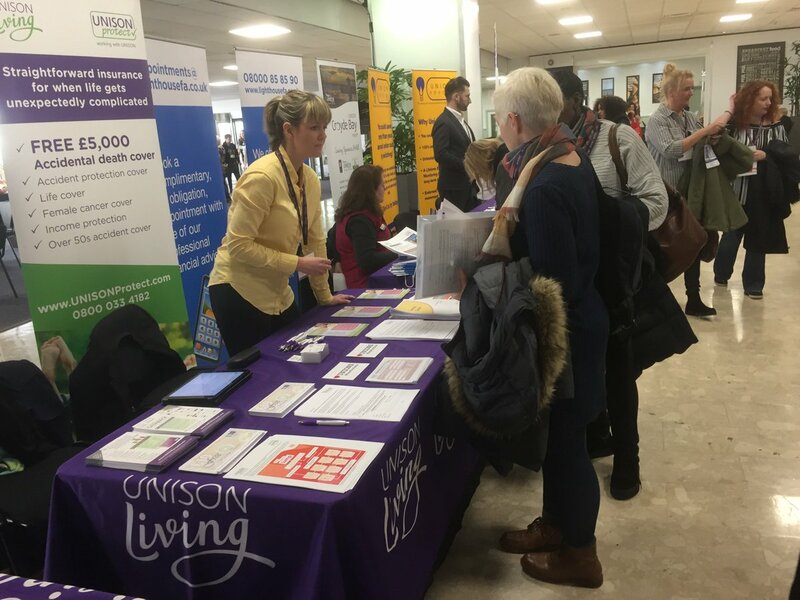 We aim to provide working people and their families with access to greater financial security through insurance policies that protect against the financial impact of major life traumas. 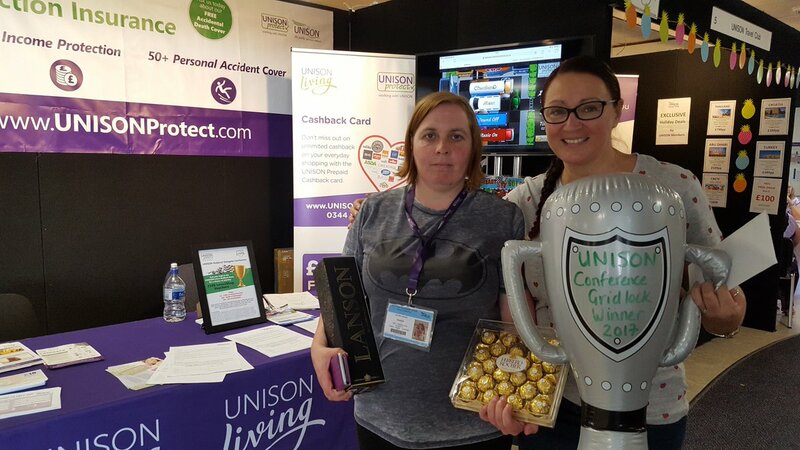 Thanks to all the delegates who came to our stand and tested their logic in the UNISONProtect Gridlock game. A huge congratulations to the winner Michelle Le Marinel and well done to the runner-ups Jenny and Jean for a well fought race. We would like to say a huge “THANK YOU!” to everyone from the UNISON National Conference 2016 who brought their unwanted bras to our stand in support of Against Breast Cancer (ABC). An overwhelming number of members got involved and hundreds of bras were donated! ABC is a registered charity that’s not only seeking a vaccine against breast cancer but their bra recycling scheme sends second hand bras to developing countries where they’re too expensive to produce locally. So your old bras will be given a new lease of life and help to raise vital funds towards research to improve detection and increase survival after breast cancer diagnosis. - Insurance policies designed with members’ needs in mind, including life insurance, up to £20,000 over 50s accident cover for death, broken bones, burns or dislocations; accident protection cover and an income protection policy that pays out money every month if accident, sickness or unemployment stops you working. 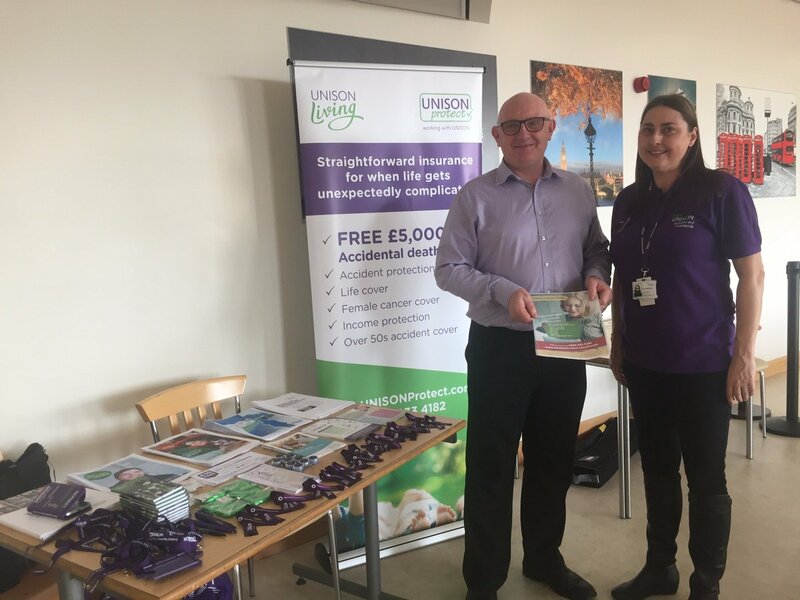 Plus, you can enjoy great online shopping discounts through the UNISON Rewards* website (sign up for FREE and get a £10 welcome bonus). There are great savings to be had in store too with a UNISON Prepaid Plus* prepaid card, offering a wide range of cashback deals from some of the biggest names on the high street.